Two Dallas entrepreneurs demonstrate their smart light bulb which can be programmed from a mobile phone for home or business, a father-son team from Las Vegas have a high-tech replacement for a cork that helps preserve wine and olive oil, parents from Washington, D.C. unveil their subscription service of carefully-curated children's books, but they only have 85 subscribers to date, and a Sarasota, FL woman has a fort-building construction kit for kids that makes castles, pirate ships and cars. 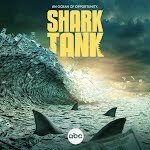 Plus, a follow-up on Breathometer, one of the show's most popular deals; five Sharks invested in it earlier this season. It's a breathalyzer app that works with your smart phone.